It's the first Monday of the month, and you know what that means. It's time to get organized! Great Comments award: Ah, this one is easy. I just have to pass it along to one of my dedicated commenters. For the Kreativ Blogger and Versatile Blogger awards, I'm supposed to list facts about myself and tag people. I know you guys are busy, so let's go with one fact and three nominees. Kreative Blogger #1: April Plummer! Kreative Blogger #2: Lindsay Currie! "The thumbs up from Skunk award' since 'we all feel like stinky, stinky skunks some days' and there are people who 'make us feel (and smell) a lot better'. To pass the award on, name one thing that you love about yourself, then pass on the award to as many bloggers as you want to"
Thumbs up to: Melissa Maygrove! *Which probably means I'll skip my post on the 27th and post twice on the 28th. Image by David Castillo Dominici. Congrats on the awards. And wow, look at everything going on in the blogosphere. Busy times! You are certainly deserving of all the awards! Congrats! Congrats on the awards. It’s definitely a busy month. I'm also a new follower from the Writer's Campaign. Hi! Congrats on the awards! Saying hello from the Write Campaign and it is a pleasure to meet you! Congrats on the awards! I am so behind on them, it's sad. I need to do a catch-all post like this, too. Thanks for reminding me! Just stopping by to say hi from the campaign. You certainly seem busy. i'm impressed and look forward to seeing what you are up to next. As for the bike thing? Just remember the saying: It’s just like riding a bike – You never forget how to fall off. Or, something like that. If you can’t ride a bike, then you’ve got a head start on the rest of us when it comes to falling off! Congrats on all the awards! You've never ridden a bike? You've got my head spinning, Carrie! Awards, Blog Challenges . . . Fabulous. WOW! Congrats on the awards! That's fabulous. And I didn't know Rachel's next campaign started today. YIKES! I better hop over and check it out. ...Or I just have really generous friends. :) Thanks, Lisa! Kuddos to you for all the awards:) Thanks for the heads up on the campaigns, too! We're in the same YA group. Still following (we were in the same group last time too). Hello again! wow, that's a lot of awards. 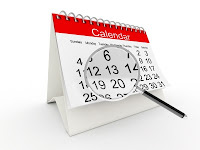 Many events are happening. So cool. Hi, we're in the same YA group for the campaign, so I thought I would stop by and say hi! Hello! Stopping by from the YA Campaign Group, and I'm a new follower. I'm looking forward to reading more posts from you. Cool Blog Header! We are in the same group for the platform-building campaign so I thought I would stop by and say hi! Hello from the campaign! We are also in some of the same group. Nice to meet you! Hi Carrie! We're in the same para romance and YA groups. Looking forward to getting to know you and your blog. Hmm, some versatile blogger I am -- I'm late! Sorry, Carrie. But thank you so much for thinking of me. It's been a weird week. Mostly I'm feeling sorry for myself because I have baby Blake withdrawals. But this isn't about me. It's about your generous and kind nature. You're a peach! In the olden days (60/70s) that meant you were one hell of a nice person. 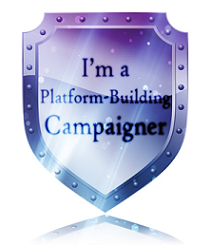 I did the platform campaign last year and it was fun! So much stuff going on. How do you stay on top of it all??? Oy vey! You're both popular and busy! I've got lots of blogfests, too. This feels like awards season, just like the Oscars and stuff! Congrats on all of yours, you deserve it!! You're very welcome. :) Hah! That's one way to look at it! You're welcome! You deserve it. :D Thanks! Thanks, Leigh! :) The campaign snuck up on me this year, too. If I hadn't seen Rach's facebook post, I might've missed out! They're fun, aren't they? :) It's nice to "meet" you, Angela! Hi, Natasha! I just signed up to follow your posts via email. :) You too! Better late than never, Joylene! You're very welcome. :) Aww, I can't blame you there. Blake is such a little cutie. I hope they're sending you plenty of photos! Just wanted to say hi to a fellow Campaigner. I'm in your Paranormal Romance group. This is my first time participating and I'm excited to meet new writer friends and discover new blogs. Congrats on your awards! Much deserved :) AND...woooo. Campaign time! Thanks, Jessica! :) Woooo, indeed! Stopping in from the campaign and I'm so excited. This is my first campaign and already I've connected with so many wonderful people. You've got a great blog and congratulations on the awards! New follower - same YA group in the campaign - It is nice to meet you. I like your blog and will be looking forward to your posts. Hi, Elise! It's nice to meet you. :) Thanks for stopping by! Popping by to say hi from the campaign! Hi! :) Thanks for stopping by! Hi, Stopping by from the campaign. I've enjoyed looking at both of your blogs. I look forward to visiting both blogs often. Hi there! I'm a fellow groupie (and new member) from Group 3-YA! Just wanted to pop in and say hello. Have fun with it!